Could either Teddy or Franklin Roosevelt get elected today? That’s a fun question to kick around as the epic new video documentary by Ken Burns unfolds on PBS. A rare view of FDR using crutches. 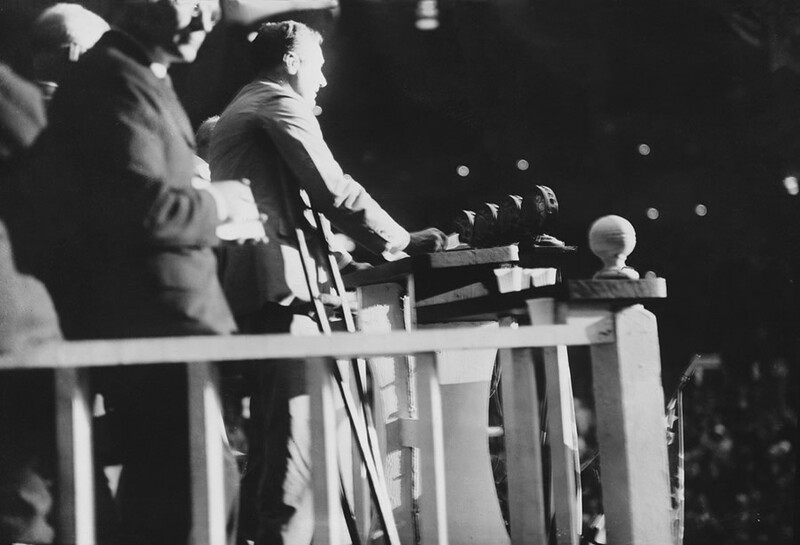 PBS identifies this as a photo taken in 1924 when FDR nominated Al Smith a the DNC at Madison Square Garden, NYC. Photo is credited to the Roosevelt Little White House state historic site, located in Warm Springs, Ga. 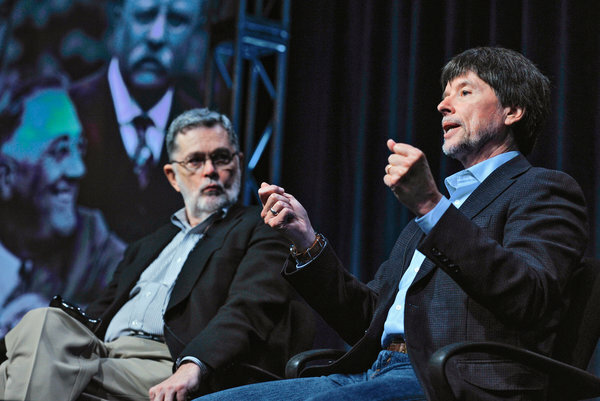 The lead writer of the series is the redoubtable Geoffrey C. Ward, who is probably one of the most successful, most familiar, and least known American historians of recent decades. Ward, who apparently has never had an academic appointment in a university history department, has a real knack for writing history in a way that lots of people appreciate. A graduate of Oberlin and former editor of American Heritage, Ward has an impressive track record: 18 books (including a 1989 biography of FDR, A First-Class Temperament), a National Book Critics Circle Award, the Parkman Prize for history, seven Emmys, a bunch of other prizes and the “Friend of History Award” from the Organization of American Historians. Among his many talents, I would say Ward excels at the majestic, omniscient note needed to introduce Big Subjects in our national drama like the Civil War or the Roosevelts. One arrow in Ward’s quiver is the “historical conditional” verb tense, as in: “His When his words are read by Peter Coyote, you better listen up. As this recent NYTimes piece notes, Ward has a special connection to FDR — Ward suffered from polio as a child and still wears braces as a result — that perhaps gave him a special affinity or empathy with the president. Although it is not taught much in school, empathy may not be a bad quality in a historian. Excellent point about teaching the importance of empathy to historians and journalists (not to mention doctors, lawyers and government officials)–or, at the very least, considering the reality of their times. For example, it has become a given in Progressive circles to deride the Founding Fathers for not abolishing slavery or giving women the vote without crediting them for going as far as they did in their historical context–and doing so with the likelihood they would be executed if they lost the Revolution. But empathy, or even nuance, does not sell as much as outrage, as Murdoch, Moore and Limbaugh prove daily, a bandwagon Burns joined in his propaganda piece for the Central Park 5.
the |Green Berets with an understanding of the Ho Chi Minh trail and fought bravely with them. He is not a historian in my book (or his tome).